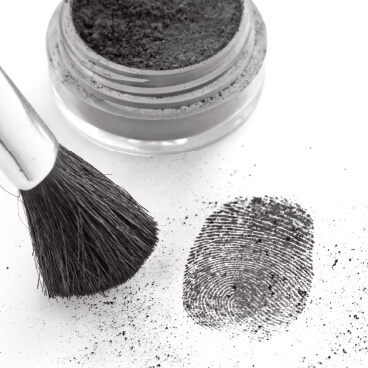 When coupled with a Powder Flow Analyser, the Texture Analyser gives you a complete range of testing solutions for both your powders and end-products. 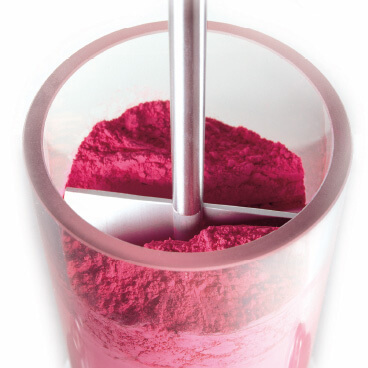 Alternative powder flow measurements do not provide such a comprehensive range of testing possibilities and product characterisation options. 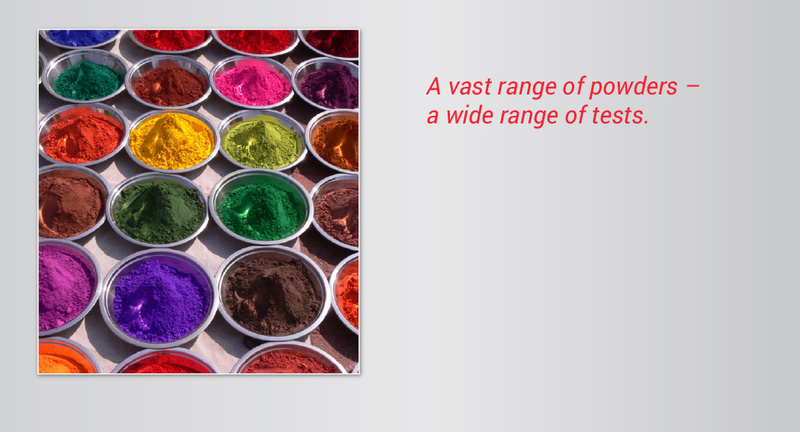 Why settle for a single number when you can measure such a wide range of product parameters? 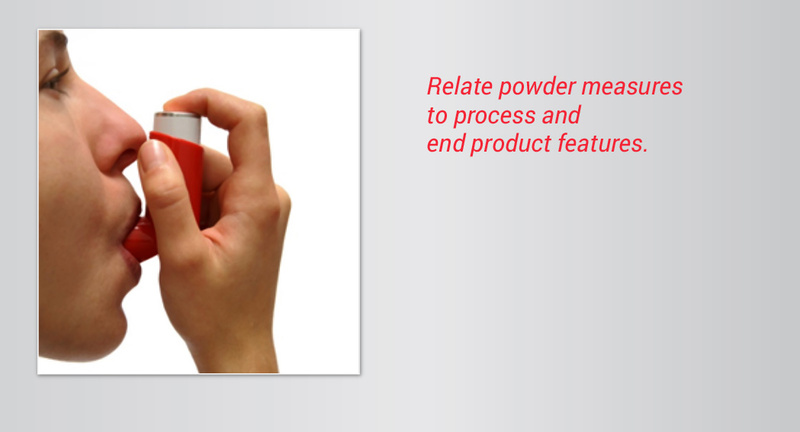 Test virtually any material capable of flow and displacement – not just free flowing powders. 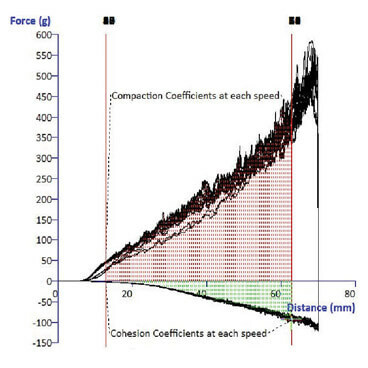 Impose extremely gentle through to aggressive flows, and measure the resulting force to characterise the sample under those controlled conditions. 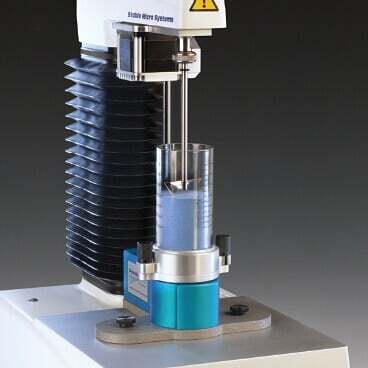 Users can define sample flow to suit the sample type and characteristic of interest, or to be complementary to the process conditions experienced by the sample. 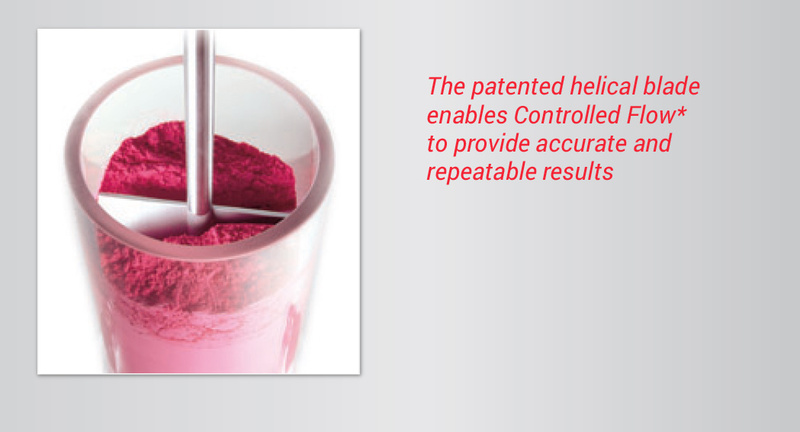 Controlled Sample Flow enables the powder column sample to be pre-conditioned before the actual test cycle. This provides independence from operator sample loading techniques and results in repeatable sample flow programs that provide reproducible results. Precision machined and surface finished rotors and blades for displacing the powder and borosilicate glass or stainless steel test vessels assist in reproducibility of results. Meanwhile, software allows data capture at up to 500 points per second (pps) providing detail for analysis enhancement. From less than 20ml to over 200ml. Where samples of bulk solids are extremely rare or very expensive, e.g. in the pharmaceutical industry, samples down to 20ml can be analysed. Samples can be pre loaded into sample vessels and pre conditioned for humidity and temperature. 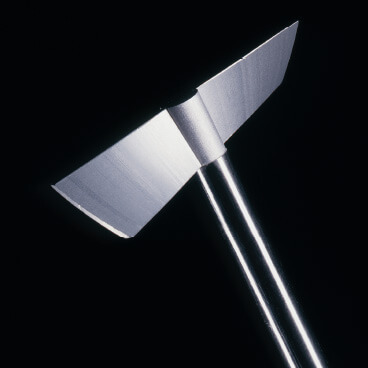 Additionally, test vessel bases are easily removed to enable thorough, simple cleaning. 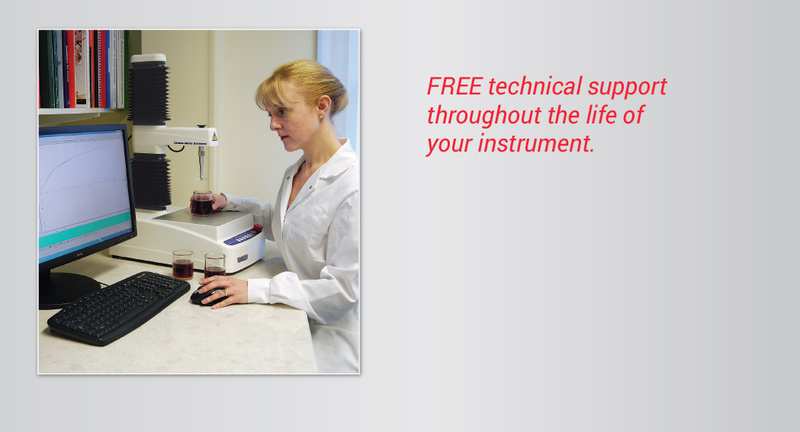 Compaction, slice, shear, lift/aeration are all possible and test programmable in the manner most suited to the sample and your process need. Nothing surprises us more than what experienced users want to investigate. That is why for Research & Development needs we allow the flexibility for you to not only customise the test projects that we provide but also for you to completely create your own test protocols to test in a different way or analyse your data to collect additional parameters. 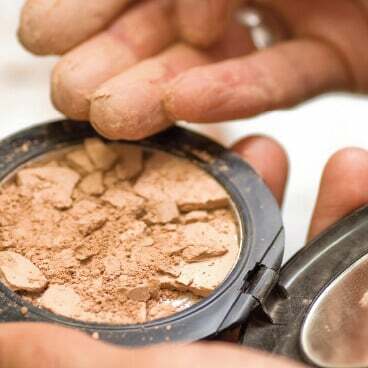 And when you wish to measure another physical parameter of your powder or finished product (e.g. Unconfined Yield Stress, Granule Crush Strength, Cake Compression Strength), the Texture Analyser has a wide range of additional accessories providing different measurement methods. 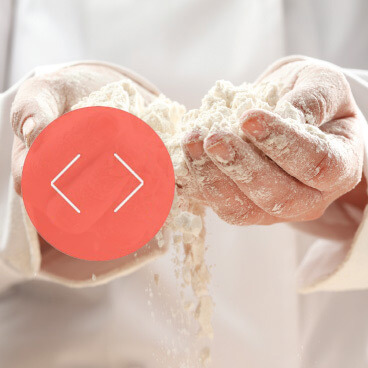 We don't just sell equipment – we pride ourselves in providing solutions to measuring your products physical properties to help you solve your quality control, formulation or processing problems. Distributed in the UK by our own sales force, Stable Micro Systems' Powder Flow Analysers are marketed on every continent through a network of hand-picked distributors and agents, who have been trained in all the major applications of both powder flow and texture analysis applications. Exponent software is written in-house giving us the ability to quickly update and add required features suggested by our users. In fact, we have unmatched continuously enhanced software. We constantly strive for improvement and pride ourselves on our quality of customer support throughout the world.